With dual-cameras pretty much a standard-feature on high-end smartphones these days, it was only a matter of time before the first manufacturer would announce a mobile device with three (or even more) camera modules per side. 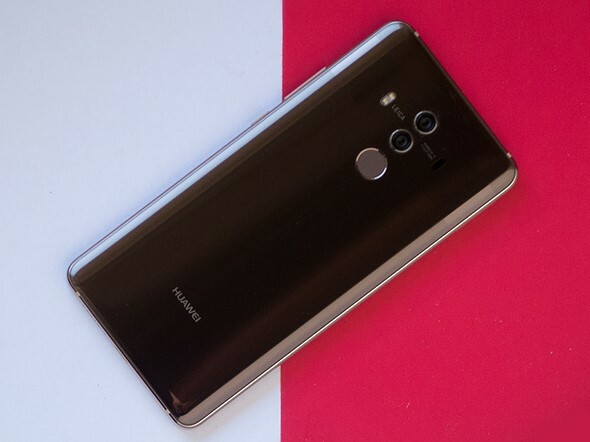 If rumors are true, it looks as if this manufacturer will be China's Huawei. Unlike in previous years, the Chinese device-maker won't launch their new premium model at the Mobile World Congress in Barcelona at the end of this month. Instead, the P20 (as the new model is likely to be called) will be announced at a stand-alone event in Paris on the 27th of March. According to a report by Forbes, the P20 will be the first smartphone to come with a triple-camera, offering a total resolution of 40MP and a 5x optical/digital hybrid zoom. Additionally, the front camera will feature 24MP resolution. As, with previous models, the cameras have reportedly been co-developed with German optics manufacturer Leica. The Huawei Mate 10 Pro features a dual cam co-engineered with Leica. There are no further details regarding how the triple-camera technology exactly works, but we would assume the typical image output size will be considerably smaller than 40MP, and the high pixel count is mostly used for hybrid zoom and computational imaging purposes, such as de-noising and HDR. The Mate 10 Pro is already one of the best smartphone cameras we have tested in a while, so it'll be interesting to see what performance Huawei can squeeze out of a device with an additional camera module. We'll know more in a few weeks time. I take it 3 1/3" sensors? This will soon be like the razor blade arms race with Gillette having a 7 blade razor. Anybody know if it's possible to put a more portrait-friendly focal length (say, something in the 50-75mm equiv range) into a cell phone camera lens without it protruding? If so, then that's what I would love to see for one of the lenses in a dual-camera setup. The usual setup is already 28mm equiv. paired with a 2x normal lens, meaning around 56mm equiv. It would be awesome if stereo photography is resurrected. I think smart phones are excellent devices for that, with lenses on opposite ends instead of a column. I expect 2x 28mm equivalent focal lengths plus 50mm or 85mm. Given they use a mono sensor, I wonder if having one of the three sensors dedicated to red, green, or blue channels would aid in image capture,with software combining the final image. I use my phone camera more and more these days but currently also have a main APS-C camera and sync pictures to the phone for editing using a USB OTG as card reader. I love the 3rd grade mentality here. Brings back a lot of fond memories from 55 years ago. Google is your friend, and this phone was announced 4 years ago. It had more than 3 cameras. No, it was not done by some unknown manufacturer. Why is the best equipment related to espionage? Government funding? I remember when Lenovo was like the best most reliable laptop out there, and then they were banned by US govt for espionage fears. Word was that they were reliable because china didnt want them to break down in the middle of spying on you. Now it is Huawei. Seems there is no free lunch. Kinda like free apps... They are free so long as you agree they can spy on you. Geez, I am becoming a conspiracy theorist in my old age. I would suspect that China spies on its own citizens as much as any other govt, but I could be wrong. One would hope that their respective govt has underlying beliefs that are somewhat aligned with their own personal beliefs, but you are right to question your govt, no matter what country you live in. The founders of the U.S. at least tried to mitigate overpowered govt with the Constitution. I would go with five cameras. Red, green, green, blue and monochrome. Ten if you need different focal lengths for pseudo-zoom. Add pixel-shift and you will really have something. 2026: BREAKING NEWS - "With dozen-cameras pretty much a standard-feature on high-end smartphones these days, it was only a matter of time before the first manufacturer would announce a mobile device with twenty (or even more) camera modules per side." Also: "There is no more detail on how the phone to the twenty camera will take advantage of all these sensors, however we know that the manufacturer will sell a handle adapted to hold the phone to prevent clogging sensors with fingers"
2046 BREAKING NEWS: "With phones now being used almost exclusively to take pictures, one intrepid manufacturer has announced that they will be coming out with device that does nothing more than take pictures. They are proposing to call this device a "camera". The device is still in the prototyping stage, but filed patents found by our staff appear to show that it will accept different lenses. There is even a mirror in device whose exact function unknown at this time. The company is registered as Kodak, a name which one of our staff swears was mentioned by his grandfather on his deathbeds some years ago." They have a way to go before they catch up with Light's L16 with its 16 lenses and 16 13MP sensors. That technology is still very much in its infancy though. It does show some promise. I still think cameras should optionally have a smartphone built into them. This way I won't forget my phone. Imagine the win of holding a 1dX to your ear. You could hold it by the lens. Why doesn't DPReview give us a perfectly (or as near as possible) comparative review of sensors? That is, set up side-by-side a top of the range phone next to an M43, APS-C and FF camera (with equivalent field of view lenses) and all having about the same resolution - I guess that would be devices around 20-24MP. Take the same shot, where there's lots of detail to capture and a reasonable dynamic range, once in low light and once in daylight. Take the best quality JPGs available from each device, and compare the shots side by side. As a final test, process the RAW files from each device to see if better quality can be produced. The test would give a real life indication of how much detail these tiny phone sensors are really capturing (or not) and how much software sharpening and processing is being used, especially in low light conditions. Well they did compare the iPhone X to the EOS-M100. We have squeezed out almost everything we can from the silicon wafer technology, and further development of imaging equipment is getting increasingly more reliant on software and processing. As algorithms become faster and more advanced, we are getting closer to producing as good of image quality with smaller and compact cameras, as that of larger and bulkier cameras, only without all the bulk. And the most obvious and promising way of doing that is combining images taken with several cameras thus virtually eliminating noise and using perspective shift to build depth data for bokeh simulation. So, despite all the elitism and scepticism towards tiny cameras today, they are the future. And it's a good thing. I'd say the cheesy fake bokeh and watercolor noise reduction of the current flagship smart phones are more cringe-worthy than asking for a larger sensor. I'd happily put up with a small camera bump for a 1/1.7" or 2/3" sensor. Computational photography may be the future, but at present its an uncompelling bag of gimmicks. In case my comment above sounds too snarky, I'd like to point out that you can be excited about the future of computational photography and still want a better camera phone in your pocket today. Sorry, I don't get your point. You want a large sensor in a phone today? Well, sorry, it's not possible without added bulk. Not until we come up with some fancy flat lenses made of nano-tubes or something. And the majority of phone buyers neither want added bulk, nor care for those fractions of inches. We had several cameraphones, no one bought them except for a couple of enthusiasts. Also, stating that computational photography is a "bag of gimmicks" at present is uneducated and ignorant, as better software algorithms allow not only for decent images from phones (compare them to those taken with dedicated compact cameras from 5 years ago, you'll be surprised), but are widely used to enhance SNR of "big league" cameras, including high-end DSLRs. Why do people like to gravitate towards the extremes so much? Everything is either "bad" or "great" and everyone wants to have the best stuff possible right now. Well, it's not how technology works. Never has and never will. "You want a large sensor in a phone today? Well, sorry, it's not possible without added bulk." -I don't think it's unreasonable to trade OIS and a millimeter or two for a bigger sensor. Most people happily give that much up just to put a case on. "We had several cameraphones, no one bought them except for a couple of enthusiasts." -Sure, but they were all fatally flawed in more ways than just a bulky camera module. The Nokia N808 shipped with Symbian well after that OS had flatlined, similarly the N1020 shipped with the 'dead out of the gate' Windows Phone OS, and the CM1 had a high price tag, very limited availability, and was never offered by any US carriers. Panasonic isn't going to be the one to get it right; they just don't have the smart phone expertise. "Also, stating that computational photography is a "bag of gimmicks" at pesent is uneducated and ignorant, as better software algorithms allow not only for decent images from phones..."
-Multi-camera computational photography in mobile phones, the of topic this article, is a bag of gimmicks. No one here is arguing against more intelligent auto white balance, more clever noise removal, or realistic auto HDR. Shutup and take my money!! I'd be more excited if they used the same focal length for all 3 cameras (35mm equivalent would be sweet) and combined the data from all sensors to produce a single image with low noise, wide dynamic range and great spacial/tonal resolution. One sensor being monochrome (lacking a color filter) would help too. And this is already possible with our current level of technology. If you had 3x sensors all the same focal length, why not go all the way and have each with a different colour filter. one R, one G, and one B.
Androole, at first I was excited by your idea, but after thinking more carefully I am pretty sure it wouldn't work. Because of slight perspective differences, the cameras won't see 100% same image. There will be areas of the image not visible by one camera or the other, and thus the color info of some areas would be partially missing. If you have full-color filters, then you'll only lose some resolution and gain some noise in those areas, which isn't nearly as noticeable as the whole color channel missing. That will cause perspective issues so you have 2x pixel shift and have to compute the combination to compensate. I don't think that's the case, it says 5x optical+digital hybrid, which makes me skeptical. I only care about how much the optical portion is, and people already provide "5x hybrid" with the current 2x optical, no reason not to go further if there's a 90mm equiv. telephoto. Oh no, triple espionage of the USA. You could still conduct espionage off contract, for what it's worth. Not on my customs shift! Is there any phone with modern OS that has 1 inch sensor? There was Panasonic few years back, but what is the current state? You need the magic of the perfect integer to really realise the true photographic potential of any equipment. Sony have really put this nonsensical naming convention to good use creating an almost mystical importance to this one particular size which in fixed lens cameras creates a monstrous size and price bloat for anything over moderate zoom. Phones have great advantages over cameras in that they do not have to dance so much to Sony's tune as regards the sensor to use and pixel stuffing. Who's this "Consumer" everybody thinks they know everything about? I would be perfectly happy with a phone up to, I don't know, 15 mm thick? and I know plenty of people who think just like me. That's 0.60 in, for the contrarians. I wouldn't be surprised if there's a decent niche of people that would trade a little extra thickness for a better camera and bigger battery. Heck, if they built it a little tougher you could skip the case and not be too far off from breaking even. Sorry... 3 is just so yesterday. Master camera, Monochrome, Tele, or stereo. That way you can increase the functionality while keeping it flat. Very misleading to mention 40 MP. The cameras I own have 114 MP. 5+12+16+18+24+39. Useless information. Yes, and a ~16MP Foveon "combines computationally" into ~40MP also. this is an awesome comment section! you really can filter for the block-headed people here. They argue for large sensor solutions in 9mm thin smartphones, just because the IQ of a larger sensor has to be better than those of smaller sensors, right? Because, it's only about sensor area right? The only benefits of a larger sensor are greater full well capacity (lower base ISO for a pixel size) and relaxed designed constraints for lenses (F4 design on Medium format is the same DOF as a F1 design on a 1inch which is going to be much more complex). Thats it. A small sensor has some advantages too. BSI is standard and stacking in much easier. Lenses can also use more exotic materials and plastics as its easier to keep them reigid when that small. A small sensor also has a fast electronic shutter and if you want low noise and the light is good it can stack multiple images. Then there is stabalisation which can be done on the whole camera module making it much more effective than larger cameras. I recon for wide angles the camera phone is on the dedicated cameras heels. This doesn't scale between 1/3" and 1", the current generation of 1" sensors is both BSI and stacked. The should put a red dot on it and call it the Leiwei. Three are not enough, 16 or get the light out of here. I want 10 cameras at least on the back of my phone..
you realize that this will happen eventually? the first camera is the normal one (wide). Instead of 3 tiny sensors and lenses, put one decent 1" or at least 1/1.6" sensor. 3D, fake bokeh... These are mostly gimmicks. People need decent DR, low light capability more than fake bokeh. That's not how it works. You can't put a larger sensor in while keeping the lens flat and compact. You can however cram more tiny sensors and use software algorithms to "emulate" a larger sensor. And while I'd love a bulkier phone with great camera, I'm not in majority. Phone cameras are already good enough for Instagram and other social networks and compactness of smartphones is one of their biggest strengths. ozturert, you should read more about multi sensor approaches in imaging. Kreislauf, what do I need to read? Enlighten me please. "Phone cameras are already good enough for Instagram and other social networks..."
Maybe, but I've been hearing this line for years and yet every time a new flagship phone comes out the first thing the manufacturer brags about is that the camera is improved. Omg, is it a new horror movie? Even a 100mm eq would never be enough compared to a real 100mm, I mean about DOP (your 100mm f/2.8 will become a f/20 machine in real life). It means again this horrible fake bokeh process. Sorry but my conception of photography can’t fit with smartphone philosophy. About social media and smartphone use it can be enough, probably. And for most users. so your "conception of photography" is about maximal aperture instead of using whatever you have at hand to capture the moment? Can’t I talk about my tastes here? Dont know why you use « instead » to caricature what I wrote. Sure I would never spend 1300€ in a iPhone X with crappy bokeh simulation. Or even less in a Huawei. For this price you can have really more creative systems/lenses. Cameras are totally overpriced as for the cost of an iPhone X, all you can do is take pictures, assuming you can afford a decent lens in that budget, and even then the camera does nothing to help you take a better picture, you have to know who you are doing and compensate for the light and action in your picture. They can't make or take audio or.video calls, they can't play music, they can't browse the internet or play games - why would anyone pay so much for such a limited device? So you buy a phone to : play music, play games, play videos...??? Really? Not a surprising development, and surely more manufacturers will follow. The trend to replace big long zooms with separate lens/sensor elements together with advanced processors looks interesting. This is an example of how a mass market can fuel the development pace. Surely the conventional DSLR market will coexist and also develop at perhaps a more leisurely pace due to being a smaller market. We live in the most interesting of times where more choices will be available. Of course not all of us will like all the options being given but it gives us freedom to choose, at least for those of us who can afford the upgrade cycles. Isn’t this the brand that US companies are dropping over security concerns? I didn’t even think of that. But you’re probably right. Steve Jobs was a con artist, a liar, and a thief, but Tim Cook is a real slimeball. You made me run out of words for Trump. Yes, but a lot of people will regret for couldn't get it through the carrier! This is just begaiming.. the Chinese manufacturers will bring more and better products. The Huawei will be the first one to bring 5G to the world!! They'll drop one brand and there's dozen other asian brands waiting in line. Doesn't matter, people will buy them anyway if they have reasonable price with the right features. More Samsung shills. The block was pushed by Samsung, Cisco, Nokia and Qualcomm to prevent Huawei from getting a foothold in the US and have a say on 5G development here. All the backend makers are pushing to have their patent added to future network rollout. didnt i just say exactly that??? You said Apple, Apple don't make back-end equipments. "there are articles on the web saying this dropping is rooted in denying the chinese the chance to begin defining 5g spec in america with the phones"
" Results from Ericsson this week will have pundits reaching for just how the Swedish telecoms giant is going to survive the onslaught from China’s Huawei. How long will it be before it needs to be acquired and why Cisco needs to be the acquirer. Ericsson’s revenues began sliding, we have done this every quarter, but it is not every quarter that you have a new US president running around telling everyone to buy American. In telecoms equip is no longer possible. Unless someone takes this opportunity to acquire Ericsson. Ericsson, which is being beaten at every turn by Huawei, especially its “vendor financing” approach of building and running networks for next to nothing, until they begin throwing off cash; Nokia, which has the most American input, as it owns Lucent, through its Alcatel acquisition and Cisco, which does not have the breadth of offering to supply a 5G network." "Ericsson also supports both AT&T and Verizon in their 5G efforts and right now, both tier 1 operators have 5G trials with Ericsson, and Verizon in particular (see separate story this week) has gone all in on 5G, and that includes it as a method for fixed broadband connection, using millimeter wave spectrum. We understand that both Verizon and AT&T want to offer fixed broadband services using millimeter wave, at the 1 Gbps or so level. Verizon has very public plans to be the first US carrier to roll out 5G, with the initial focus on fixed wireless. This is usual with a new connectivity standard, since it is simpler to deploy non-mobile networks and acquire devices, before addressing issues of handover and interoperability. Both AT&T and Verizon think that 5G will be a credible alternative to wireline broadband to deliver home video services." I don’t think they’re the first. Check your sources. Which is the first then, if you know better? well, somebody. He has a lot of friends who told him, so it must be true. plus then you have to take the argument and proof him wrong. Why stop at 3 cameras? Make it 4.
there's probably two more cameras in the front. A lot of criticism, which may or may not be justified. My first thought was that they wanted to be able to do "3D" in both landscape and portrait modes. That would require three cameras. maybe. but most likely, they use superimposition of 2 equal focal lengths to improve image quality and have one tele lens to allow for optical zoom in post. Kind of on the fence on this until more is known. Sounds like a gimmick...I've got a Mate 9, dual camera and yes the dual is better, than the Mate 8 I have also. I'll hold judgement until more is known. Who knows what this will be. Another gimmick, or a real improvement. If only there were any current phone options with a single, bigger sensor rather than 3 small terrible ones. What a great concept, I agree with you. I'd buy a camera with a new 1" sensor vs 3-4 small 1/2.5 size sensors, if one was created with much better IQ. I think it is a know fact that larger sensors are better than smaller sensors. Panasonic made 1 inch sensor phone years ago, very few people bought it. Not a realistic product . Bigger sensors mean higher TTL (taller) lenses. Few people want a phone that isn't slim enough to fit in their pocket comfortably. Bigger sensor means bigger lens elements. 1" sensor means 5 times bigger lens elements than 1/2.5 " size. And I don't believe that Apple or Samsung will make their smartphones 5 times thicker than the current models just because of the camera. 2/3" or even 1/1.8" sensor would be a nice step-up from 1/2.5"(if the main camera is 1/2.5" then second is usually 1/3.4") or even 1/2.3". It be interesting to see how the curved Sony sensor would fair. OMG you are not the brightest horse in the shed, are you? You want to put a 1" sensor in a 9mm thick smartphone? It looks like the DPR armchair engineers are out in full force again. Meanwhile, Nokia was able to cram a 2/3" sensor into the Lumia 1020's 14.5mm bulge; that included optical stabilization and they did it nearly 5 years ago! Even a 1/1.7" sensor would crush every current smart phone on the market. The Pureview 1020's 14.5mm is not competitive in 2018, when the vast majority of consumers opt for thin phones (half that thickness) that fit comfortably in jeans pockets. Phone companies have obsessively pushed to thinner form-factors - it's a significant marketing point. "It looks like the DPR armchair engineers are out in full force again." @winkalman, I laughed when a read this. Thank you for helping start my day with a smile. One thing about internet forums is you generally have no idea who you're talking to. I've been working in imaging for over 20 years. Six of those years were spent working on mobile phone cameras. Currently, I lead a group of 8 optical and opto-mechanical engineers at a major camera company. I'm not saying that I'm always right, but I'm no armchair engineer. @Jon Stern: Maybe I'm in the minority, but I would happily add a few millimeter camera bump (you're right that 14.5mm would be a hard sell these days though) and sacrifice OIS if I could get a markedly better sensor (1/1.7" or 2/3"). Yes and no. Chinese companies are making the hardware but no one is beating Google, an American company, for cameraphone software right now. And Huawei is consulting with Leica for optics. Not close. Chinese brands except HTC are really behind in computational photography. They are like Samsung 6 years ago. Just throw big numbers and don't bother optimize anything. For everyone saying it's pointless, manufacturers have been doing some interesting stuff like including a monochrome sensor to boost detail in colour shots. I'm happy to take whatever they want to offer, as long as it is affordable. I've found LG's 135 degree (13mm equivalent!!) secondary camera absolutely irreplaceable. Why not snowflake, buy phone separately. My d*ck is bigger than yours! Wait, where Iphones are made? All of your electronics are made in China, then possibly assembled and packaged elsewhere. It doesn't matter. If you order well specced and inspected design you will get high quality, if you try to shave every penny you will get cheap and unreliable product, it's that simple. Next they'll have two screens one on each side. Then after the 5th camera they'll have a split phone with a screen on each side and a super wide screen once you open it up with get this DUAL CPU! It would be really fantastic to have a classic trinity of (equivalent) focal lengths there. 21mm or 24mm, 35mm or 40mm, and 85mm or 100mm, all giving native quality without terrible quality-reducing digital zoom. Weird here I am with a second system I just bought that I lug around to nightclubs and even dance with it. My phone stays in my pocket for when need to make a call. iCrap has set the bar very low with their appallingly bad optical zoom quality, so Huawei could make a big impact if they get it right. Making some great phones and offers something Apple has never dreamed of, VALUE FOR MONEY. In Japan, this Huawei (128GB) goes for 84 thousand yen, while iPhone 8 (64GB) goes for 85 thousand yen. Yes, the Huawei is still cheaper, but not by as much as you make it sound. I don’t live in Japan and couldn’t care less what the price difference is there. Where I live it’s about 40% cheaper. Wow, friendly attitude there. If you don't care about other people's stories, why should we pay any attention to yours? pity half the states wont be selling it. He begin his statement by using "iCrap". I think you should be happy he did curse you out while replying. Where you live doesn't matter, my friend living in Michigan got a Note 8 from South Korea because it was much cheaper there. There is no bargain for Huawei, anywhere around the world, there is one somewhere for most other brands. Of course they add more cameras. It's a higher number. Next year it's four in each side. Let's do 360 video.. Or even better make em zoom - a built in trinity. This is going the ways of razor blades. Time for Gillette branded phone. Would love a 35/85 color and 35 mono configuration. I can use panorama for wider angle. The Huawei monochrome sensors have really nice quality. They're much more sensitive than typical Bayer sensors desaturated, to the point where it's become my go-to for low-light capture on a smartphone. Most of the time low-light colour photos on smartphones look like mushy chroma-noise ridden garbage anyway, so it's no great loss. Any camera on monochrome mode will have better sensitivity than in color. 20MP color (for additional image data and better color resolution in "zoom modes"
A 2x crop of a 1/2.9" f/1.6 camera would lead to slightly more diffraction than using a 1/3.6" f/2.4 camera. So I don't know how they want to achieve 5x zoom. 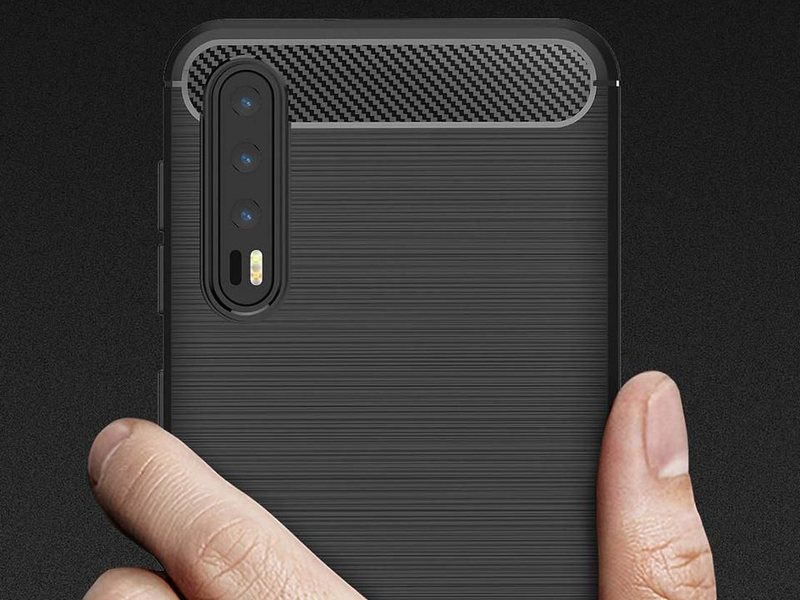 The solution could be a larger aperture diameter and a periscope design https://dpreview.com/news/6628566824/oppo-announces-5x-optical-zoom-technology-for-smartphone-cameras , but apparently Huawei hasn't chosen a periscope design. A 40 MP sensor can be ruled out in my opinion. 40 megapixels would require either a larger sensor than 1/2.3" or a smaller pixel pitch than 0.9 micrometers. As far as I know no mobile camera sensor with a smaller pixel pitch than 0.9 micrometers exists. You are correct, however they could use a larger sensor, likt the 1/2.6" found in Samsungs flagship. In general there seems to be an aperture limit. The last of the 1/2.3" phones got to F2.0 (HTC 10 is the exception with F1.8), Samsung pushes F1.7 for their 1/2.5" and others push F1.6 for their 1/2.9". Tele design often have the same aperture diameter, losing F-Stops and decreasing sensor size. The way out of this dilemma needs to be some kind of new tech. Like a curved 1/2" sensor that works in these small designs.